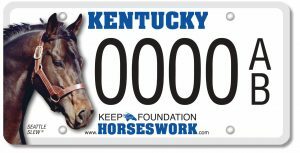 LEXINGTON, Ky. — The Seattle Slew specialty license plate was officially made available to Kentucky drivers today. 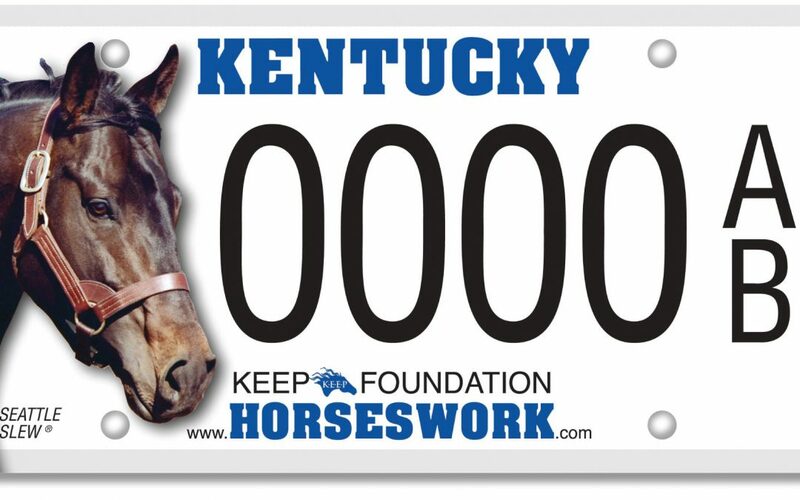 The new license plate features a photo of the legendary Seattle Slew, and proceeds from the sale of each plate will support the KEEP Foundation’s Grassroots Funding Program and educational activities. Seattle Slew, considered by many to be one of Thoroughbred racing’s greatest champions, was undefeated as a 2-year-old and won the iconic Triple Crown in 1977. Following his retirement from racing, Seattle Slew left another legacy as a sire, producing more than 100 stakes winners including Horse of the Year and leading sire A.P. Indy and the dam of Cigar, a two-time Horse of the Year and all-time leading money winner in North America at the time. Founded in 2015, the KEEP Foundation is committed to educating the people of the Commonwealth about the importance of horses to the state, its economy, its heritage and its people. The KEEP Foundation spreads its mission by providing education units, speeches, presentations and by participating in equine events throughout the state. As a part of this outreach the Foundation allocates grant funds to help local horse organizations, equine youth clubs and educational institutions promote the importance of the horse industry in Kentucky. To learn more about the KEEP Foundation and its programs, visit www.thekeepfoundation.org.